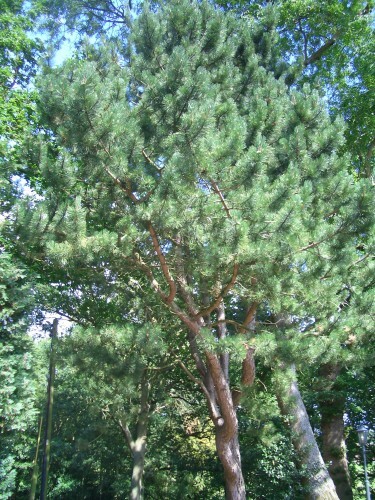 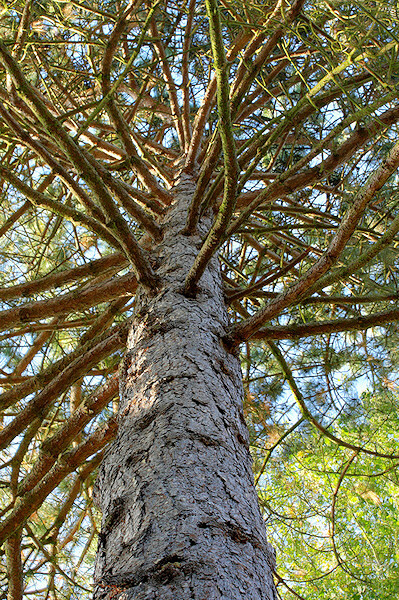 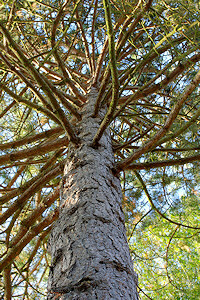 The Scots Pine is the only pine native to Britain. 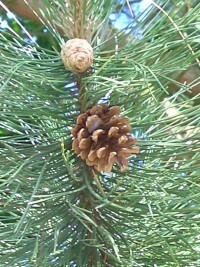 The needles are a bluish-green, long (about 4 -7 cms), narrow and pointed. 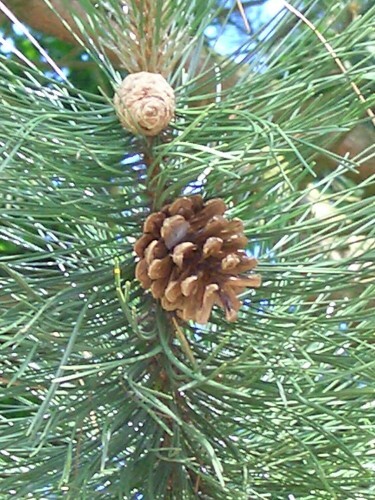 The egg-shaped cones are a dull brown and open in late summer to release their seeds. 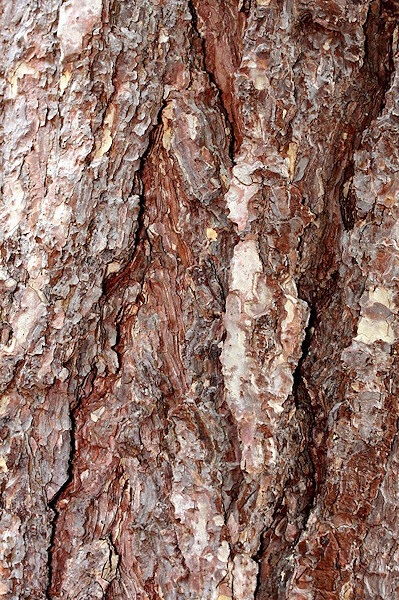 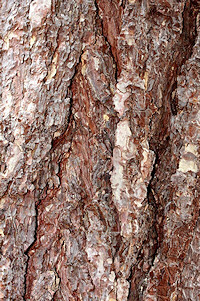 The bark is greyish-brown (in older trees) and fissured.